What makes Liquido stand out from all the other sportswear and yogawear brands you can choose from? It can be confusing. Because what makes a legging a good legging? How come some leggings are so much more expensive than others? We would love to explain. Because there really are big differences! And not just the brand name. In this blog we like to show you in 10 simple reasons what makes Liquido stand out. One of Liquido’s priorities is making sure your leggings are downdog-proof and/or squat-proof. So you don’t have to worry about your clothes when you bend over in a yogaclass or at the gym. We know how important this is! Al our products are always Limited Edition. This means that all the products are only produced once in limited numbers. This way all our prints remain unique, just like you. Every month we introduce new prints and models. Each of them limited edition. This also means when products or sizes are sold out, they will not be restocked. Al our products are made with love in Brazil under fair conditions. Sweatshop-free. That means: absolutely no child labor! All employees receive fair pay, work a normal amount of hours a day and under good conditions. Most of them have been working with Liquido for years. Recycling is also very high on the list and most work is done on energy efficient machines. Honest for humans and earth. One of the most heard comments most be about how soft and comfortable our leggings are: like second skin. And that is exactly what our leggings are. These leggings will wrap your legs like second skin, all day, no matter what you do. With the support you can expect from a pair of sports/ yoga leggings. Especially the wider waistband (always snugly above the hips), without nasty elastic rubber bands adds to the comfort while wearing them. 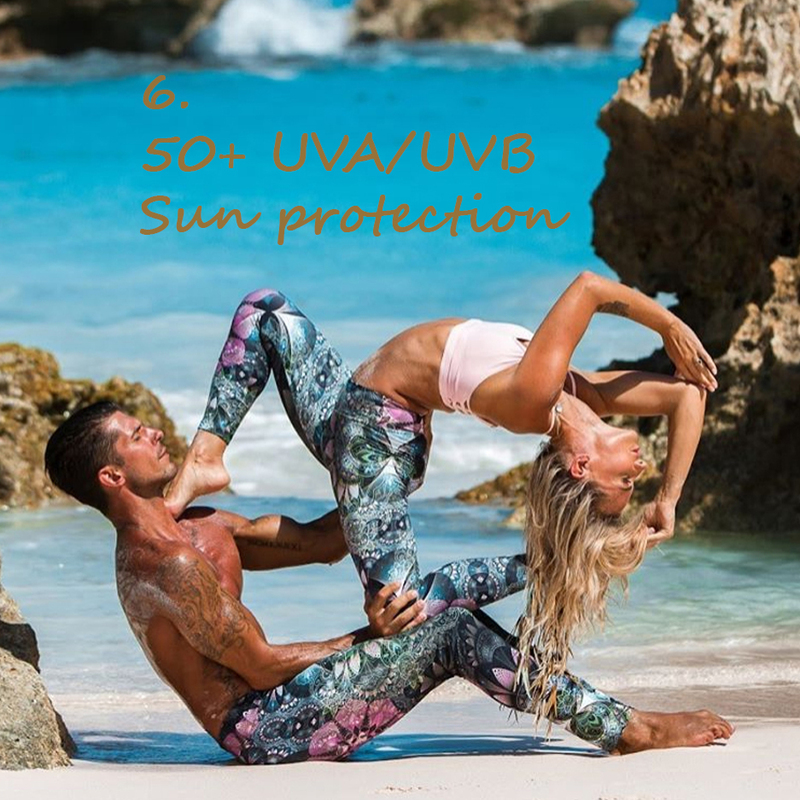 For most products a special kind of Lycra is used with built-in sun protection up to SPF50! Ideal for those activities you’d like to do out and about! Our leggings are just great from yogastudio to the gym, but casual as well. Try to combine them with a cute litte dress and a pair of heels. 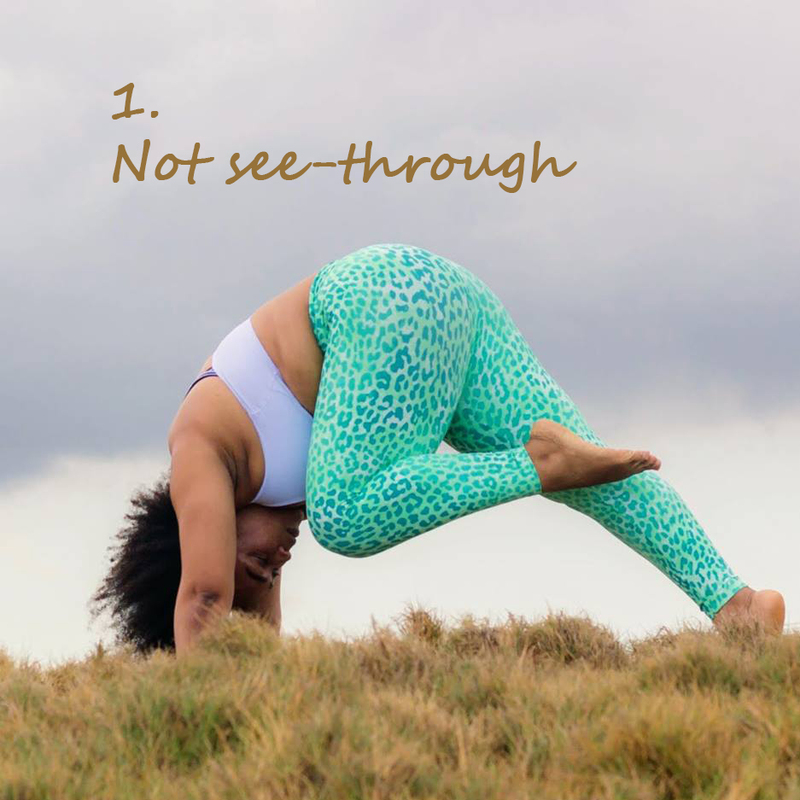 There are no visible seems, like many sports- and yogawear, which makes our leggings extremely versatile! 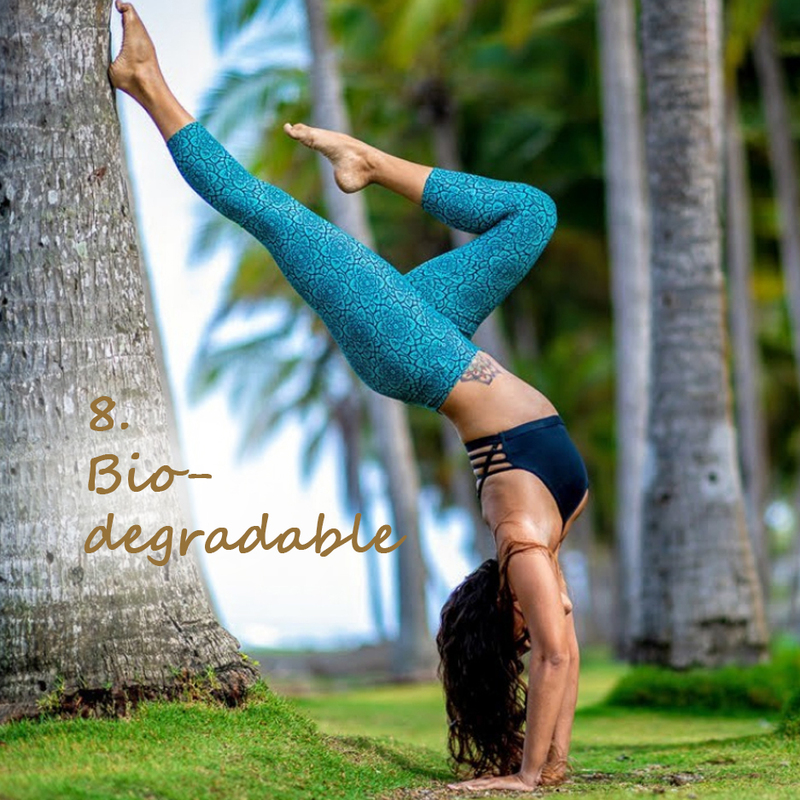 Since a while Liquido started using Amni Soul Eco as much as possible: a bio-degradable 6.6 polyamide thread, which allows the products to easily decompose after being discarded. This way you can feel good while buying your Liquido clothes, while wearing them and even when you toss them out! The compression leggings are made of the revolutiuonary UP material, exclusively developed by Liquido in Brazil. This material is more compact in structure and has massaging qualities. This stimulates the bloodflow and therefore reducing vericose veins and cellulite, your legs won’t get tired that easily and it lifts you booty! Liquido leggings have one of the best price-quality ratios in the business of yoga- and sportsfashion. Very often we see clients wearing leggings from years ago and still looking great!The material used also makes for the leggings to keep their shape: they don’t get bigger while wearing them, not even when they get wet! There, now you’ll hopefully know Liquido a little better and know why you should give Liquido leggings a try!